Project-Based Learning can happen in many ways and the product and outcome may not be what is expected, but the process is where the learning is most powerful. Here are some helpful suggestions for planning, coaching and mentoring students through successful project-based learning. Student Choice and Creativity that empowers and inspires the students to own their own learning and engage deeply in the project. Tackles Relevant Issues and importance beyond the classroom. Exemplary Models by other students, teachers, or professionals, to set criteria for high-quality work and set strategies to attain them. 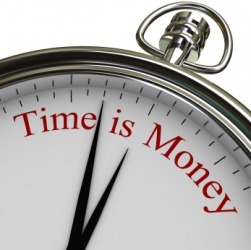 Incorporates Hands-On Work, such as: art, technology, or processes- related to the discipline. Lasting Learning of a deeper learning skill, idea, or way of thinking that is relevant to students’ lives, their futures, and transforms who they are as human beings. Mirrors Real-World Work of professionals in craft, process, or skill (e.g. historians, writers, mathematicians, artists). Moves Beyond Classroom in purpose, audience, or contribution to community. You can read the full article by Bob Lenz on Edutopia HERE. This activity is a very effective way to get students communicating with each other using a specific set of vocabulary that they are familiar with. This is also a great activity to practice circumlocution. I typically provide a list of words that students know well and they have the task sorting the words into categories. I either give a list of words that students list in categories or they cut them out and physically place them in categories. The first time through, I have them put the words in two categories, then three categories and sometimes up to seven or eight categories. 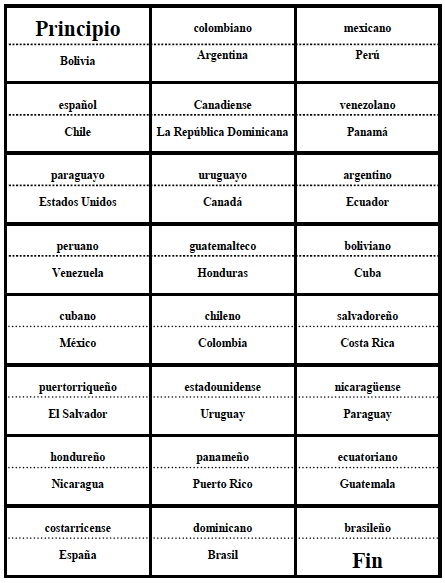 The objective is to do this using only the target language as the groups or pairs negotiate the categories. This is why it is best to provide words that are familiar. This helps to maintain the focus on speaking and communicating the negotiation in the target language and not focusing so much on the meaning of the words. 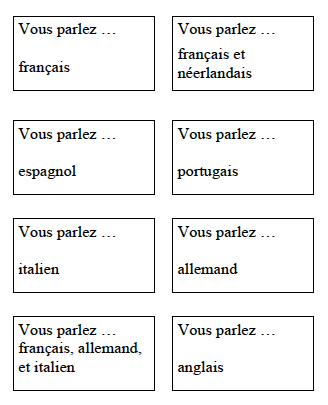 The great thing about this activity is that there are no right or wrong categories as long as the groups can explain why the words are grouped together. Here is a WORD document with words to use to practice to do this activity with your students. 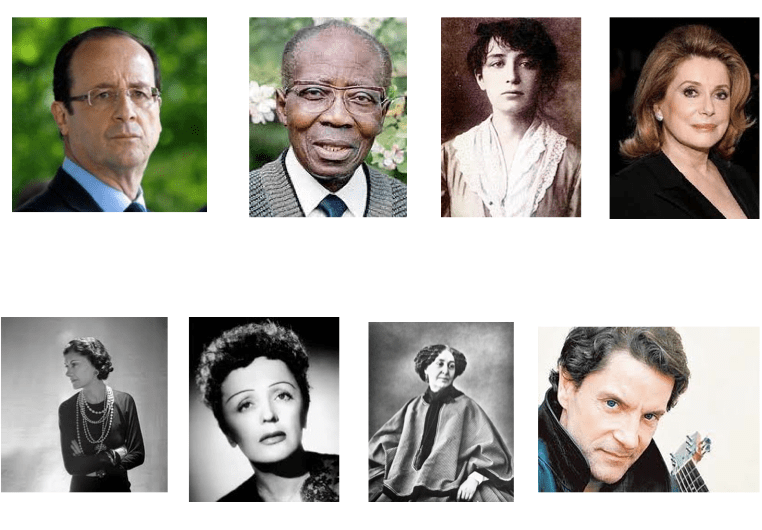 The activity is in English, Spanish and French.I have also done this with pictures of well-kn0wn people that are related to the language and culture that we are studying (artists, actors, politicians, authors, etc.). 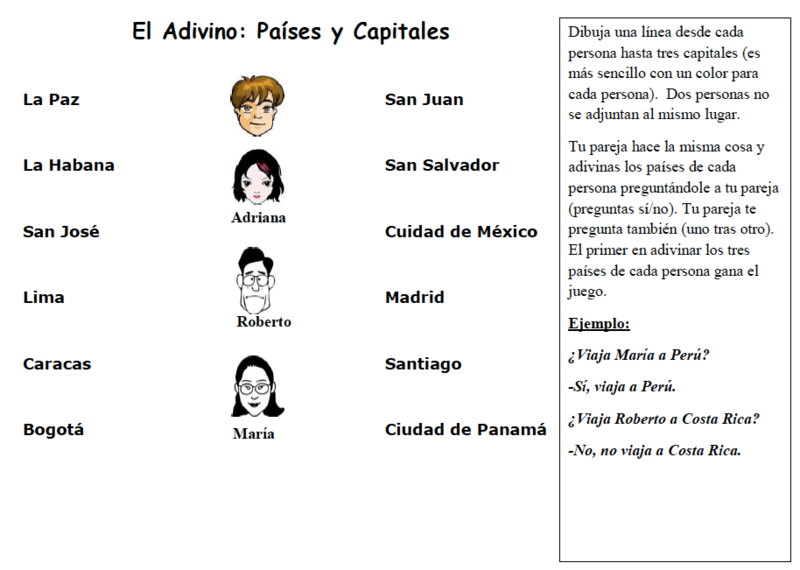 This is a project that can be done with level 1 students in a foreign language. It gives them an opportunity to use the vocabulary and structures typically taught in a first year course. The focus of this project is travel and geography vocabulary. Once students make the scrapbook of a trip, there are opportunities to use the books to do additional speaking, reading, listening and writing activities. Begin by giving a sheet with directions for creating a travel scrapbook with directions for each page including examples. Then hand out a storyboard for students to do a rough draft of their book. Students then assemble the travel scrapbook. When the books are done, students read their book to the entire class or to a small group. Provide a sheet to those students who are listening so they can fill in information when they are listening to other students in the class read their final book. We have the food unit that comes up in our foreign language classes almost every year and every text book has at least one chapter devoted to it. I created this group project that has students incorporate everything that they learn during a food and restaurant unit. Students work in groups to create a sales pitch. They have 5 minutes to present their concept for a restaurant to a group of judges (I use other teachers in the school who can understand this level of the language). Sometimes I record the presentations and email the videos to faculty members to vote on. Presentations include ideas for the style and decor, the place setting, uniforms, a menu, a chef, and one prepared specialty of the house for the judges to test. To keep it completely proficiency-based, they have visuals to represent decor, menu, restaurant style, uniforms, etc. but they speak in the moment with no notes. The idea is to have them speak completely at their proficiency level without any memorized, prepared language. This is a great way to have them use everything that they learn throughout a food unit, and it’s an effective alternative to skits. I always give students an a a sheet with useful phrases and vocabulary to use during the presentation as well as an in-depth rubric that the judges also use. This is lots of fun and all about proficiency and showing the students what they can do with the language, and the project-based learning aspects are very effective as well. 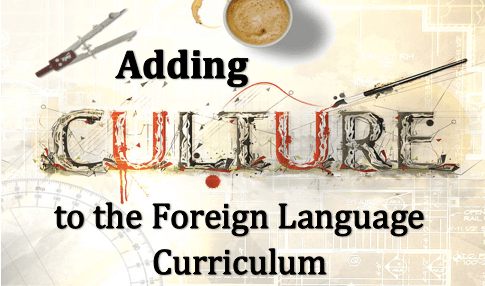 How do you “teach” culture in a foreign language class? You can look at this approach to understanding culture through the diagrams below. Essentially what can be seen and experienced in a culture is highly influenced by the perspectives of the culture, though the perspectives are rarely easily described nor seen. There is also a dynamic influence of each element on all of the other elements. When students come across a “new” elements or phenomenon in a culture that is different from their own, encourage them to consider the questions below in an attempt to understand why something may happen the way that it does, rather than passing judgment based on their own cultural lens. This moves them beyond comparing the “foreign” culture to their own. They will instead come to understand why things are the way they are based on the perspectives of the particular culture. Which specific communities take part? Why do the people need the product? Why is practice important in a particular community? What people or communities are not involved in a particular practice? What people or communities do not use a particular product? Students remember geography better when they can visualize locations without referring to a map. One way that students can hone this skill is to have them make “invisible maps” before they look at actual maps. Basically, the teacher has students take out their invisible maps and hang them up in front of them. The teacher does the same with her map in the front of the class. The teacher then stands behind the invisible map and draws on countries, cities, rivers, oceans, streets or landmarks. As she does this, students draw the locations on their invisible maps as well. The teacher should draw each location on several times and have students draw several times as well. As the activity moves on the teacher can simple say the names of the locations and students can draw them on their maps. 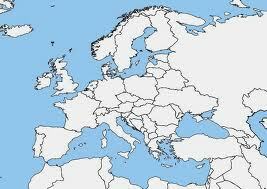 At the conclusion of the activity the teacher gives students a blank map with the names of the locations that they had drawn on their invisible maps. You will soon see how quickly the students are able to match the names to the locations because they are now able to visual the locations in their head and then transfer that knowledge to the actual map that they are working with. One thing to keep in mind is that the teacher needs to draw the map backwards because she is standing behind the invisible map and facing students so that the locations are in the correct place for students when they mimic the drawing that the teacher is doing. This takes some practice and I recommend that you photocopy the map on a transparency that you can flip over and reference when you first try this out. Proverbs will very often reflect the history and values of a community of people (Ciccarelli, 1996). Since these phrases tend to be short, the vocabulary and sentence structure don’t require a lot of time to understand linguistically. When a new vocabulary list is presented to students, consider providing a few proverbs or idioms that use some of the words and engage a conversation about how the phrase might be important in the target language culture as well as who might use it and in what circumstances. This is also a great opportunity to have students reflect on cultural similarities and differences as they consider whether or not the proverb exists in English, and if not, why? Reference: Ciccarelli, A. (1996). Teaching culture through language: Suggestions for the Italian language class. Italica, 73(4), 563-576. If you want students to practice their pronunciation and to have fun while doing it, try out some tongue-twisters. This is a great way to have students focus on their pronunciation without relying on repetition. It’s fun to make it into a game and see who can say it the fastest. Once students get more comfortable with the pronunciation they can begin to make their own tongue-twisters in the target language. This would be a great opportunity to see if students understand the sound-symbol relationship between letters, letter combinations, or characters. Very often as well, the content of the tongue-twister is a window into the culture.